Picture it, New York City 1961. Grown people in girdles and fedoras could stumble into any one of dozen of night clubs and hear standards or jazz performed at the highest level. They would sit at their tiny tables; a shaded candle casting them in a flattering glow, sip their Manhattans while wrapped in a haze of cigarette smoke and either bop or swoon to sophisticated stylings. Sitting last night in the Cafe Carlyle, wrapped in Marcel Vertes murals, those halcyon days were brought back to life by William Blake. Resplendent in his black velvet jacket and beatific smile, Mr. Blake brings the best of the past back to life with his flawless show, Echoes of Etta: A Tribute To Etta James. filled the stage and filled the room. Together they created a magnificent sound one rarely stumbles upon today. This fact was confirmed towards the end of the show when the curtained doorway parted. Jammed into the entry of the club were half a dozen people drawn to the sound. Their faces were a mix of joy and absolutely awe. 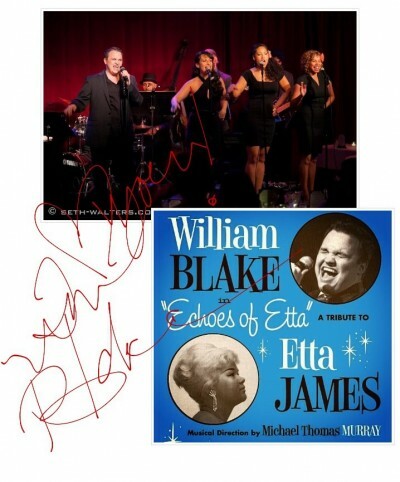 While the Etta James songbook is an ideal canvas for Mr. Blake’s range, he is not an impersonator but in fact the real thing. With the power of a rocker and the soul of a jazz singer he brings a tender strength to ballads and a growling ferocity to blues. There’s little doubt his talent could take him wherever his heart desires, but for the sake of those yearning to come taste the wine, and to come hear the band, let us hope Mr. Blake never leaves the cabaret. Did you ever pine for Ed Sullivan? Maybe ‘pining’ for the real Ed is a stretch, but what about the beatific Ed of Bye Bye Birdie? Either Ed Sullivan that promised and delivered a really big show of stellar entertainment can create a longing and wishful thinking. His was a show that practically guaranteed that if you could make it there you would make it everywhere. Well if you could do without the spinning plates, dogs prancing on hind legs and monkeys on bicycles; if you don’t mind your Ed now dashing, debonair, brimming with charm and humor, then have I got the Ed Sullivan Redux Show for you! We often grouse over the dearth of great entertainment. We wax poetic about the heyday of the variety show and bemoan the proliferation of game shows and contests passing as entertainment. How wonderful to know that as we once turned to CBS every Sunday night, we now can turn to Birdland every Monday night; where we’ll be treated to an ever-changing roster of phenomenal talent and the constant of the consummate showman Jim Caruso. Do you ever play the lottery game? You know, the one in which you fantasize about what you’d do with the winnings? At every turn of this game, over countless years, my fantasies always take the exact same form. 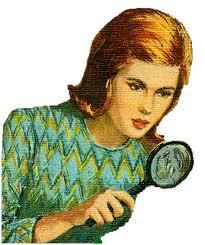 It involves the requisite good works (anything else would be indecent) and the party. The setting for the party has suffered some blows over the years. It had to be relocated from the QE II to the Rainbow Room to now destinations unknown. The event details are always the same; a small group friends, fabulous food, champagne and first-rate musical performances selected for dancing and swooning pleasure. The real point of the lottery game is that it allows one to consider what makes one’s heart sing. The party I dream of will most likely not become a reality, but I can approach my most meaningful friendships in the same celebratory manner. I can also dream of an intimate musical performance that feels as if it is being performed just for me. And on one cold winter night that dream came true. A few years ago I was at the Oak Room at the Algonquin Hotel to see Tom Wopat. He is a remarkable performer; chock full of charisma and a love of ballads. That winter night there were no more than 30 people in the audience and I was seated directly in front of Mr. Wopat. As he sang his West Side Story medley inches from my table, my eyes filled and my mind raced; I was living part of my lottery dream. 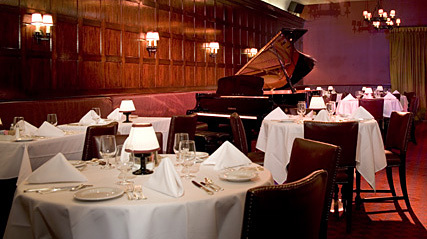 My thoughts turn to that magical night with the news that the Algonquin Hotel will be shuttering the Oak Room for good. When they docked the QE II I found it unsettling. But when they closed the Rainbow Room and now the Oak Room, it was personal. I know I don’t live in the most genteel of times, but when I step into these gorgeous time capsules I can dream. And really, without a little sepia toned fantasy, doesn’t it all tend to get just a bit too dreary? Christmas is the most romantic holiday of all. American cinema and songbook are overflowing with splendid homage to the holiday. To my mind, the British have the food, drinks and decor holiday market cornered. But one need skip across the pond to bask in the Christmas show business splendor. As soon as December rolls around, I find myself yearning for Bing to encourage me to have a drink more, because baby it’s cold outside. I catch a glimpse in the mirror and imagine what I would look like in a sequined snood, winding up a mechanical monkey and believing that next year all our troubles will be far away. During the first snowfall, I try running in the street and (quietly) wishing the building and loan a Merry Christmas. The mind reels with the richness of imagery. However, often the heart aches at the lack of real live people embracing and celebrating these traditions. Imagine the complete and utter joy of discovering that such a thing truly exists and it involves champagne! A Swinging Birdland Christmas is a technicolor dream come true. Christmas standards, jazzy interpretations and re-imagined medleys are performed by Klea Blackhurst, Jim Caruso and Billy Stritch (and the Birdland jazz quartet.) Ms. Blackhurst, a new edition to the show, is utterly charming and of splendid voice. She has a surprise stupendous musical talent up her sleeve, which I will not divulge here. Mr. Caruso is a born showman, and in a decent world would be hosting his own televised variety show. His smooth voice is a natural for the repertoire. Billy Stritch sings like he plays the piano, with rich interpretation. His phrasing is reminiscent of Mel Torme and Frank Sinatra. Together these three make a delightful trio.